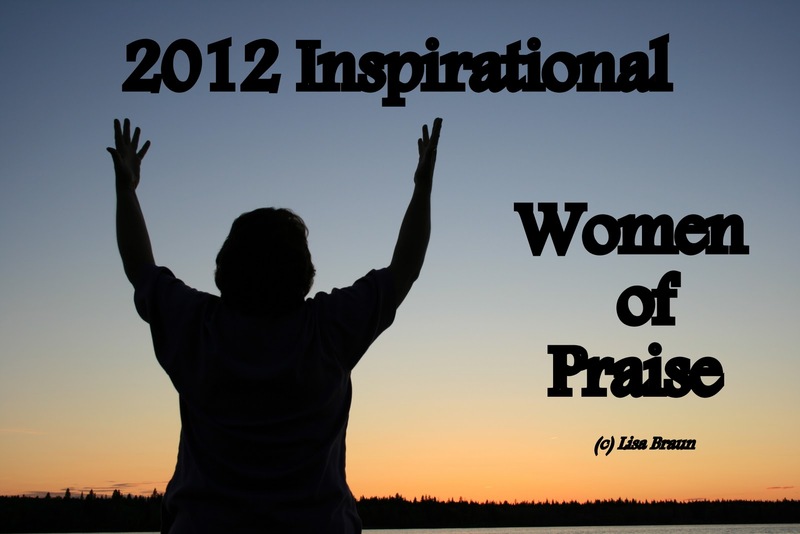 Photography by Lisa: 2012 SK Inspirational "Women of Praise"
For many years I’ve been involved with Women’s Ministries in my church. I’ve always had a heart for women and studying God’s Word together. One of my favourite pastimes, aside from spending time with my wonderful hubby and family, is leading ladies Bible studies in my community and in my church. 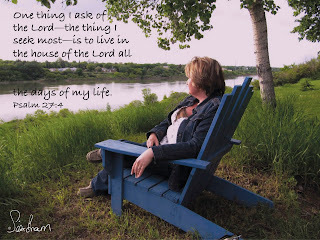 Deepening my relationship with God and learning and growing through life, together with other women who are passionate for God, is something I love to do. I’ve been inspired by many wonderful women that have come through my life. Life wouldn’t be the same if we didn’t have those dear woman friends to laugh with, to cry, encourage, give a hug or pray with. I want to honor these women, many dear friends and family, by sharing these inspiring photos and scriptures with you. 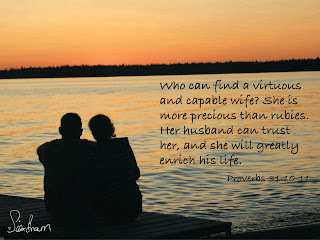 So many of these scriptures are the cry of a woman’s/wife’s/mother’s heart. I thank God for each and every one of you. God has blessed me with sisters! Yes, I have 4 sisters by blood whom I love, but God has also blessed me with many sisters of the heart! I could not walk this journey if I had to walk it alone. How many times have I enjoyed the company of women friends to laugh with and cry with, to be angry with and to be absolutely silly with, and to experience the joy of the Lord with! I am so incredibly thankful for each and every woman that God has brought across my path in life. I have learned so much from each one, they've all taught me so much! I thank God for you sisters....I thank God for you and I love each and every one of you! Life would definitely not have been the same without you. That is why I created this calendar....to remind myself, and others, of the huge blessing that women are! I've had some dear single mothers who've come into my life over the years and how I love them so. Being a single mom is not an easy job. 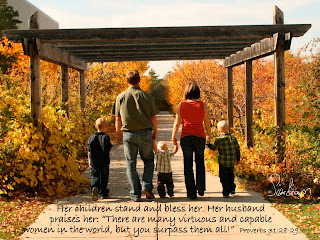 Being married and raising children brings great joy but it is not as easy task. I can't imagine doing that task alone on a daily basis. I applaud those mothers who sacrifice so much to be the best mom they can be while walking alone down that parenting road. May God be ever so near and dear to you and bless you for your love and sacrifice you give to your children. 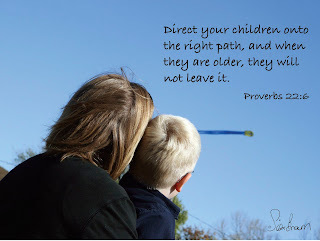 As you direct them on the right paths of life, God will honor you and hold you up dear ones. Rely on His Strength daily and He WILL give you rest. 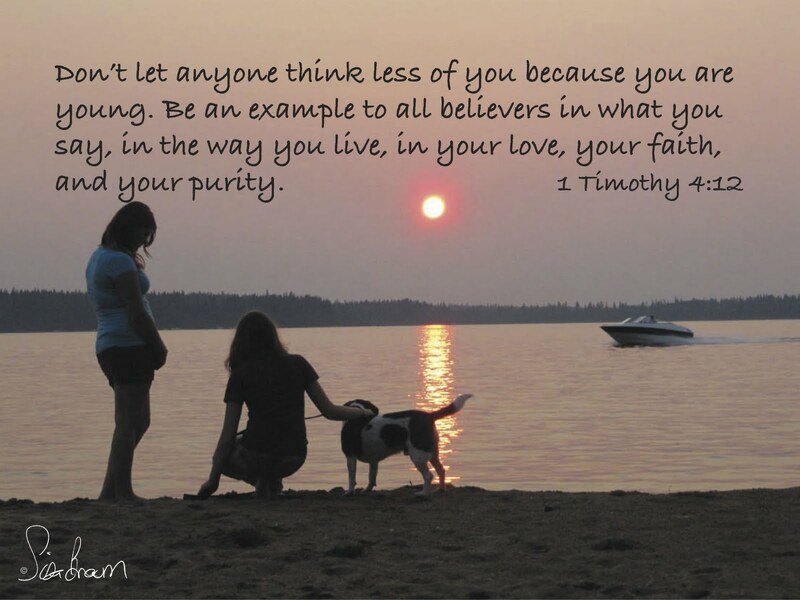 Oh sweet teenage girls, you are never alone when God is by your side. 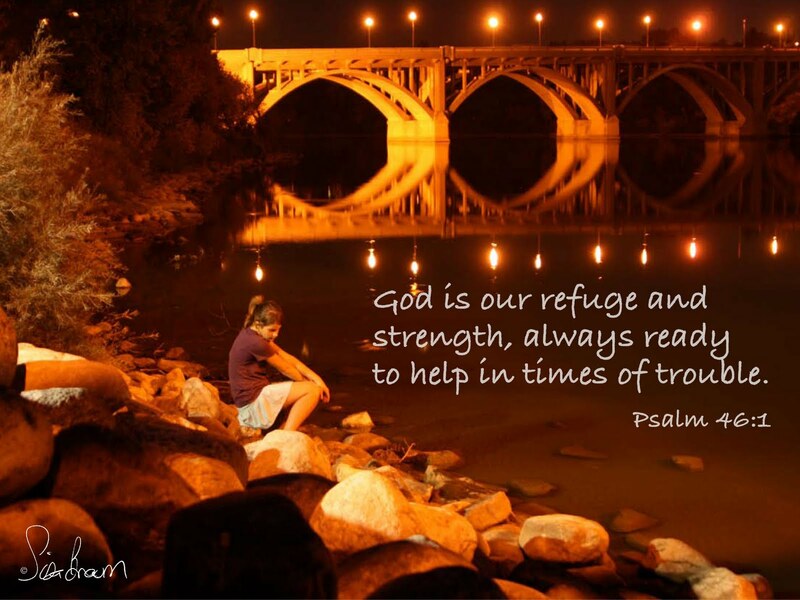 He's ALWAYS there ready to help in times of trouble. 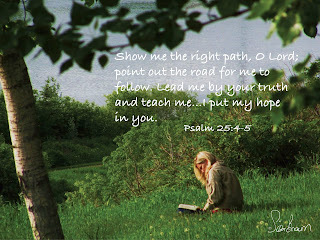 You CAN rely on Him to carry you through the rough turbulent teenage years as you grow and mature into womanhood. But my heart cried out in pain and heartache when I realized the vast number of young girls that are caught in the slavery of teenage prostitution, drugs and alcohol...hundreds of them, even in my own city close to me. What hope do they have? Who is there for them? Where is their mother to tuck them in at night and hug them when they're hurting?? I weep as I write this. It is in this time that I can only cry out to God, who sees all - to in some way, hold them close and give them hope and a future, to send someone into their path to comfort them and to provide a way out for them. I know He WILL hear my hearts cry for them. He weeps over the evil of it all too! And someday this world will be rescued of all evil! Yes it is my greatest desire of my whole being to be closer to My God, My Lord Jesus Christ and to spend ALL of my days of eternity with Him in Heaven. Each day my heart yearns for more and more of HIS Presence and less and less of the meaningless things of this world that will not last. We go empty to the grave, the same as when we came empty into this world. The only thing that will last is what we have built on with our own personal relationship with God. There have been many many times that I have been honored to share in the special wedding day by taking the photos to capture the memories of a beautiful union. 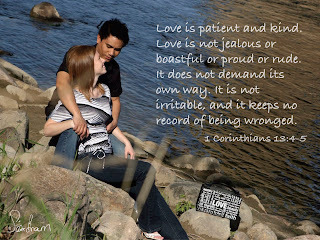 Each couple has been so dear to my heart and I have often remembered them in my prayers. I don't forget any of them. To see them years later flourishing in their relationship with each other brings a huge smile to my face. Each bride is always so beautifully dressed for her husband, heart fluttering with sweet love and desiring to walk perfectly down that aisle looking adoringly at the man she has given her heart to. Oh that sweet sweet love! 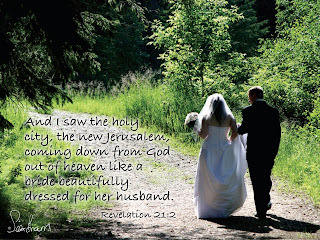 :) Each wedding also reminds me of how we as believers, as Christians, are the bride of Christ and how God is preparing a Holy New Jerusalem, a Heavenly Paradise, for all His chosen ones. A place where there will be no more tears, or pain or hatred or sickness and death. What a place that will be! How GREAT that day will be when the LORD comes for His bride, the church - his people. I can't wait! My life has been so incredibly blessed through many relationships that I've developed over time with beautiful native first nations women and girls. They are such a beautiful people and many of the ones that have come into my life have an incredible love for God. I have so much to learn from them! This family in particular, has been especially dear to my heart. 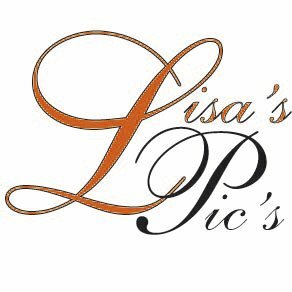 I've had the honor of taking some family photos as well as wedding photos for some of them. There's often things that I don't understand about other cultures but I do know that God created each and every one of us! Most every mother has that God-given love for their children, to love, care and nurture them. 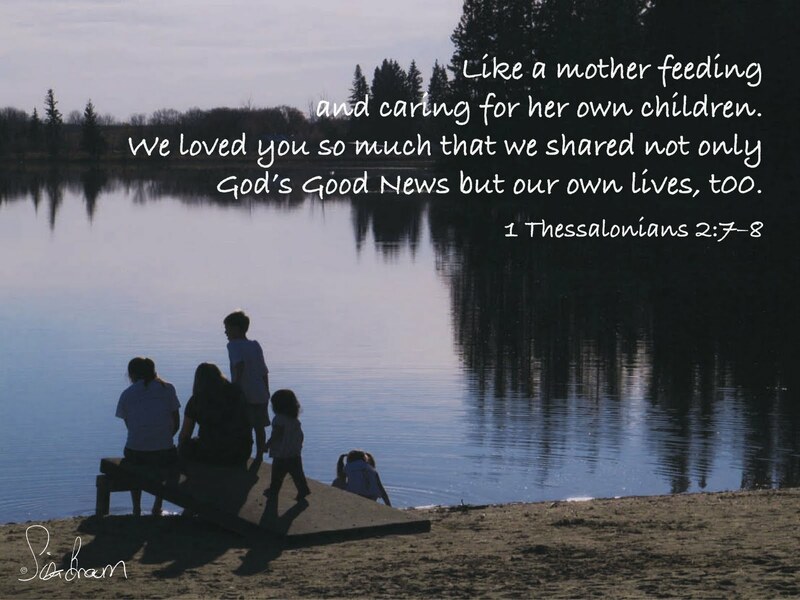 When I see the tenderness in a mother's eyes, that she has for her children, so often it reminds me of the love and care that our Heavenly Father has for us. As human parents, we are not always perfect and we make mistakes in raising our kids, but God is always there as our Heavenly Father. He knows where each of us are at and He desires a relationship with each and every one of us. Emma Lake is one of our favorite places to spend some time with family and friends. This dear couple has spent many a day with us at this cottage on the lake. Our families have grown up together and we enjoy each other's company. 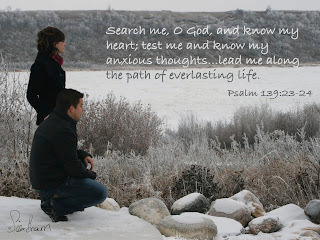 I'm inspired by their love for God, for each other, by how their family chooses to put God first in their lives and how they each desire to follow the LORD. This wife is an incredible example of a virtuous and capable wife enriching her husband's life on a daily basis. Thank you to the many couples that have enriched our lives through your friendships and through your relationship with each other. I had the privilege of taking family photos for this family one Fall day. All of their family was included in this photo session and I was inspired and encouraged by how close they all were. The parents were so proud of all of their kids and grandkids. It was so beautiful to see the love between the older father and mother and I could just tell they were leaving their children a great legacy of love and joy and relationship. This particular family above was active with 3 young boys with many days to come of laughter and hugs! 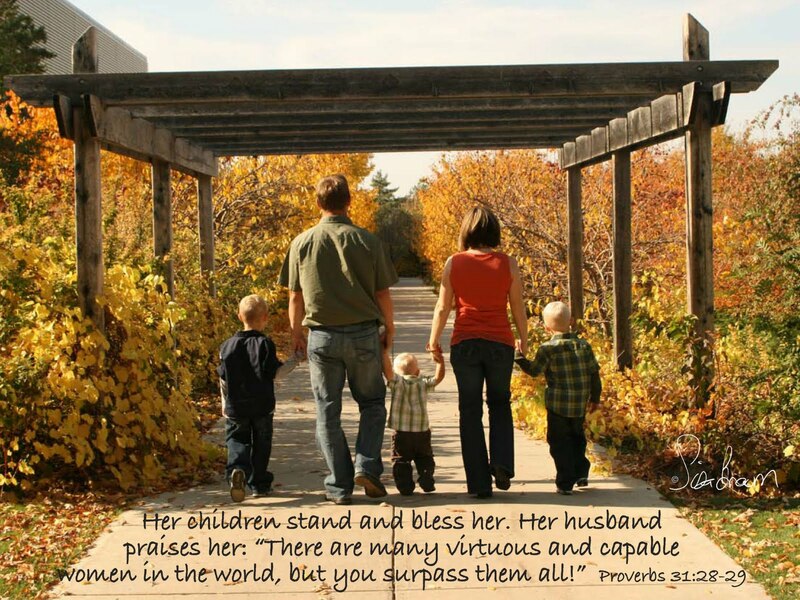 :) They were a beautiful family and the mom definitely struck me as a virtuous and capable woman. 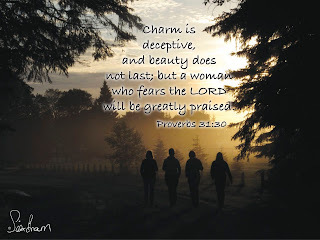 I have been so blessed over the years with wonderful friendships of godly women who've set such an example of love, joy, and true beauty of the heart! Spending time with these special friendships up at the lake have been absolutely delightful! Taking walks together, sitting around the campfire eating spitz and having wonderful conversations, enjoying the beach and the water activities.....all of it just builds together for such great memories! The relationships with those that love God so deeply have truly enriched my life forever! When I have the privilege of taking photos of young couples who've just become engaged, it warms my heart so much seeing the love for each other shining in their eyes. I often pray for them. I pray that the photos I take will be a blessing in their lives. But to me these photos are also a sign of standing on the threshold of their whole life and where will they be 50 years from now. Will they still be together? My prayer is always that they will. 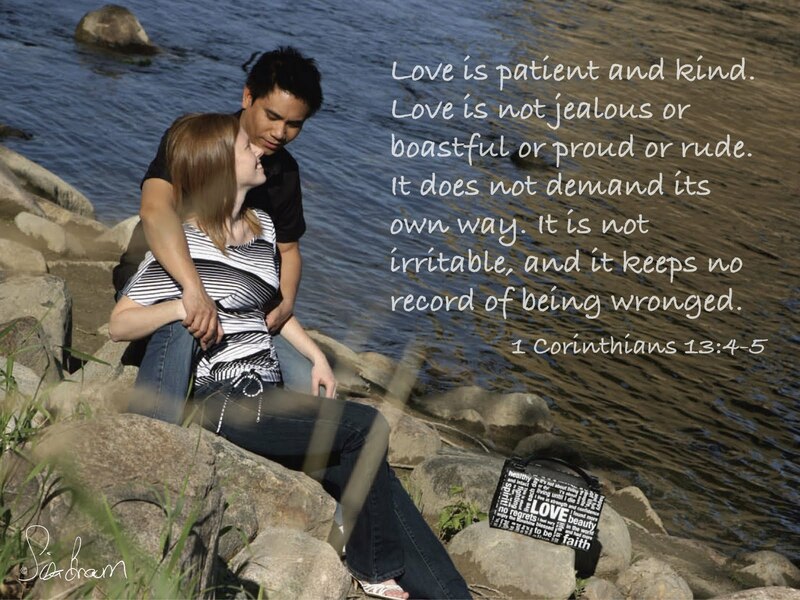 Do they have a personal relationship with Jesus Christ and will it grow and mature over the years? 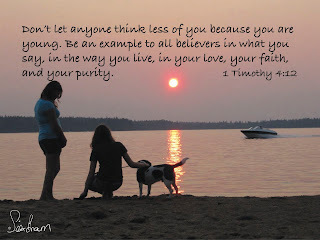 I always pray that it will, that they would allow God to lead them and that they would desire God to be involved in their lives on a daily basis. It is only with God that we can truly have a most fulfilling life. We don't need to be anxious about the future, or about anything for that matter, when we've given God the reins of our life and allow Him to reign throughout our lifetime.